Deliver amazing Presentations with our above template which contains an image of business chart on tablet. This image represents the concept of marketing and financial accounting. Adjust the above image in your PPT presentations to visually support your content in your Business PPT slideshows economy and statistics PPT presentations. Go ahead add charm and personality to your presentations with our stunning templates. Ideas will flower and bloom with our Business Percentage Chart On Tablet PowerPoint Templates And PowerPoint Themes 1012. Your company will begin to flourish. 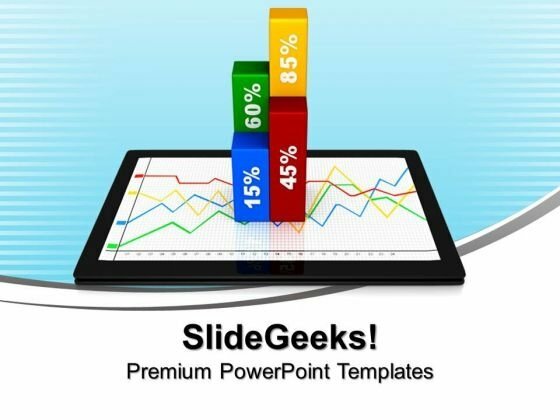 Get people to listen with our Business Percentage Chart On Tablet PowerPoint Templates And PowerPoint Themes 1012. You will come out on top.